Another amazing year at the High Park Nature Centre. This year saw the addition of some new programming including the Backyard Biodiversity talks and the Urban Bat Walks with the Junior Bat Biologist program! 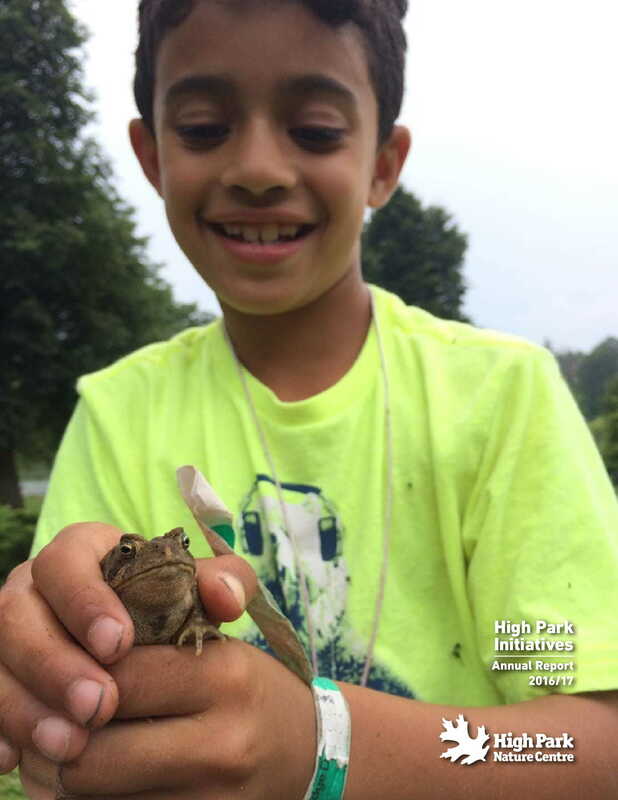 Thanks to our new headquarters in the spacious Forest School, larger staff and further expanded educational offerings, we were able to reach 14,486 people through programs and events in 2016-17. In 2015-16, the High Park Nature Centre realized a long-standing dream. 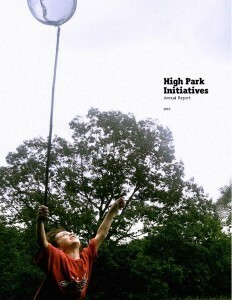 Ever since our very first program was held at the High Park Forest School in July 1999, we hoped it could some day – some how – be our permanent home. 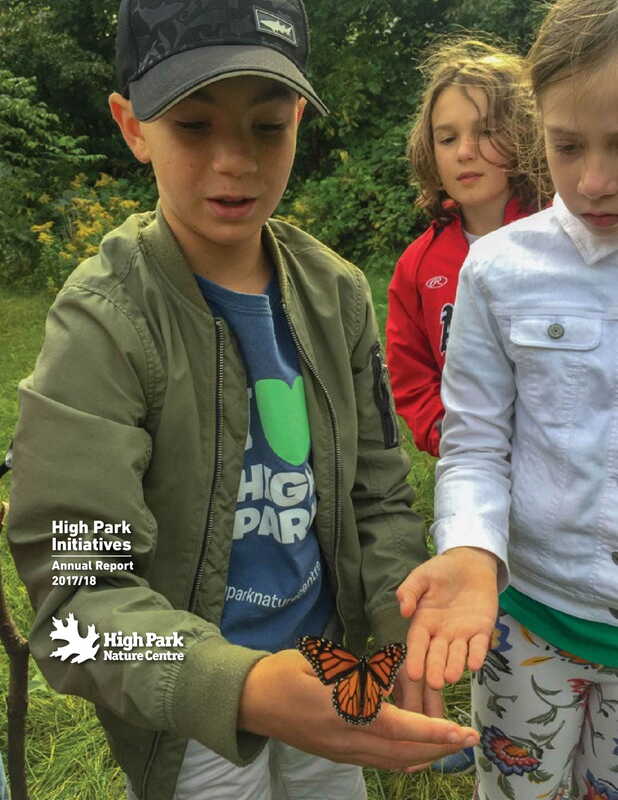 This past year was a monumental one for the High Park Nature Centre and that is in no small part due to our move to the historic High Park Forest School in April of 2015. The Forest School building was designed in the 1920’s with the belief that spending time in a healthy outdoor environment would benefit children’s health and well-being. 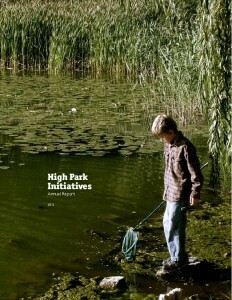 Through the delivery of 632 programs, children, youth and families spent over 2,000 hours exploring the unique ecology of High Park and getting involved in park stewardship. 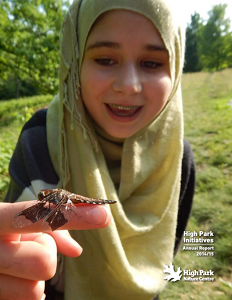 9,000 visitors learned about High Park’s amazing wetland, woodland and oak savannah ecosystems with the Nature Centre’s naturalist educators in 2013/14. 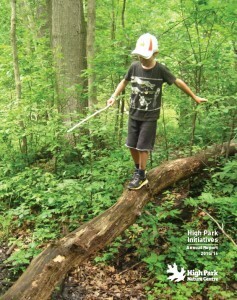 The High Park Nature Centre’s outdoor environmental education and park stewardship programs continued to grow in 2012-13. Several new educational programs targeting different demographics were launched, including Nature Baby, High Park Rangers for youth and a series of Nature Workshops for adults. 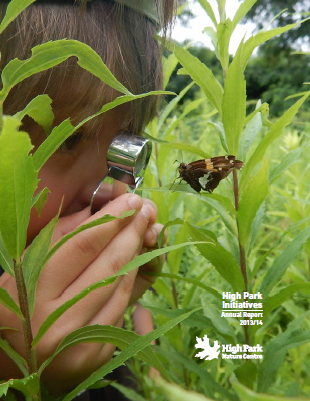 2012 was another year of great accomplishments at the High Park Nature Centre with an 13% increase in overall attendance in our nature education and park stewardship programs. 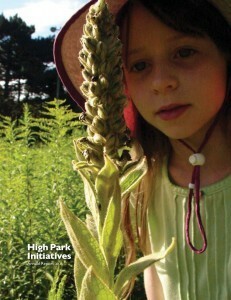 2011 was a tremendous year of growth for the High Park Nature Centre’s outdoor environmental education and park stewardship programs. Participation in programs rose to an all time high at 7,196, revenue earned from program fees increased by 9% and we were able to hire additional staff to support this growth. 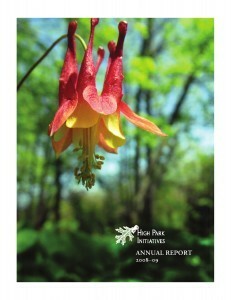 It has been another successful year at the High Park Nature Centre. The demand for the Nature Centre’s educational programs continues to grow,revenue earned from program fees has steadily increased and we have added additional staff to support this growth. 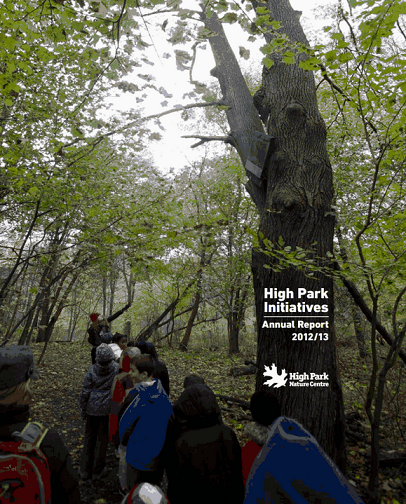 High Park Initiatives (HPI) is a registered charity dedicated to supporting staff-led and volunteer-led environmental education and stewardship programs in Toronto's High Park.